This is a theme I tried to paint several times before in a realistic manner but I was never happy with the results and would destroy or paint over the paintings. I think this style I painted it in gave me the result I wanted. 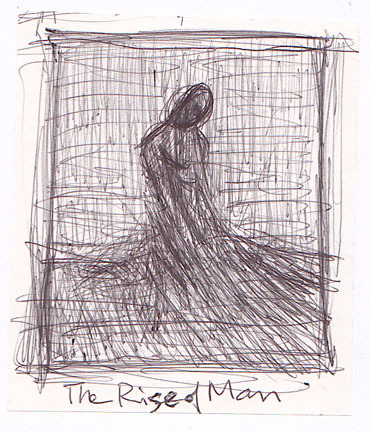 Below is a preliminary ballpoint pen sketch I did for the painting. This was an idea I had for a long time that came from a dream I had. The manner I painted it has a bit of influence from Cubism, although, it’s far from it. I recently got interested in Cubism but at the time of the painting I didn’t know much about the principles of cubism. I did find a book later called Cubism by Edward F. Fry that gave me a better understanding of what Picasso, Braque and the other Cubists were trying to achieve. I’m pretty happy with how this painting turned out and will try a few more paintings in this manner. Below is one of the early sketches I did for the painting. 2nd draft of my fruit painting. This is the second draft of my fruits painting. I stopped short at the pineapple. That’s the area I’ll focus on the next time I work on this painting. First draft of fruit still life – oil painting on canvas. This is the first of two paintings I’m doing of this same setup but from different angles. I wanted to start on both paintings today but didn’t have time to do the second one since there were other paintings I had to work on. This is the first draft of this painting and the colors will probably change as I continue on the painting. Initially, I did a ballpoint pen sketch of the fruits and worked from the sketch. The same goes for the second painting, which I will do later. Below is the ballpoint pen sketch. I’ll try to post the progress of the painting as much as possible. 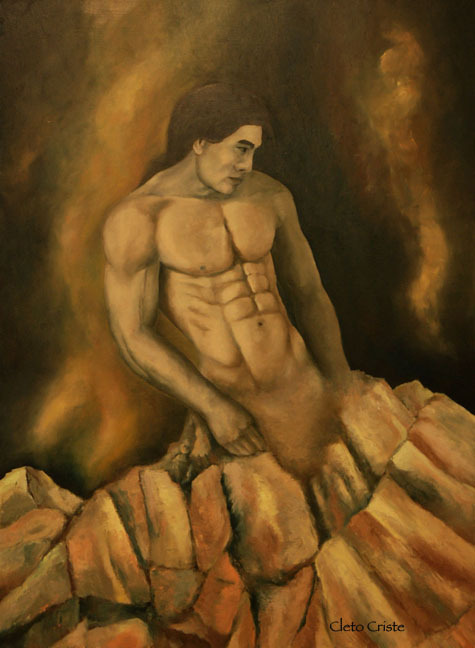 New oil painting – Metamorphoses. As I kept working on the sketch I remembered that I had a similar idea 15 years ago based on an excerpt from the classic Ovid’s Metamorphoses. Here’s the part that I was going to use to make a painting. 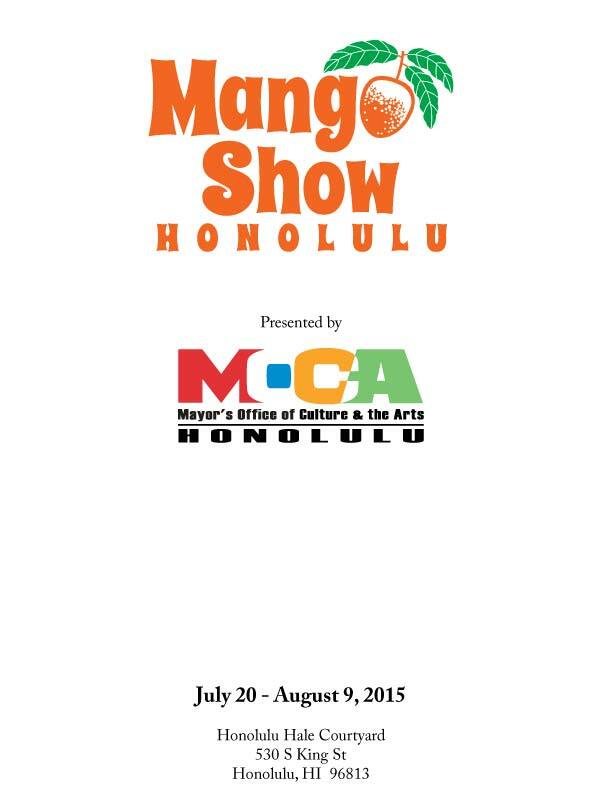 Our Sunday life drawing workshop group was invited to participate in a mango show art exhibit at the Honolulu Hale to be held from July 20 to August 9, 2015. The exhibit will also be part of a one day festival celebrating the mango on August 8, 2015. This is the painting I submitted for the show. 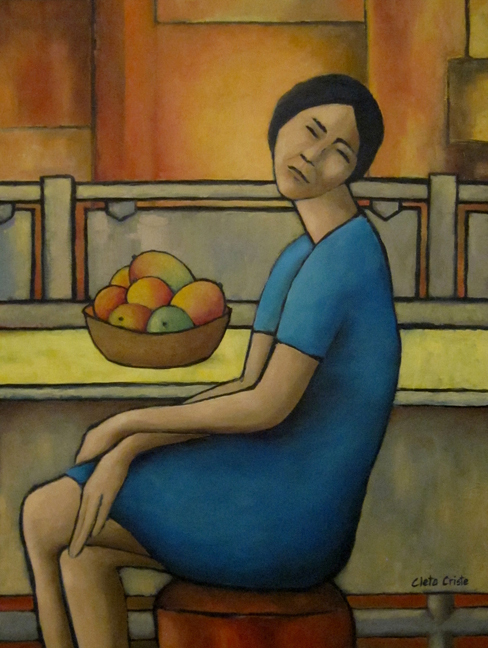 It’s called A Girl and Her Mangoes. It’s 32″w x 42″h, oil on canvas. I have yet to see the exhibit and I think I’ll stop to look at the show after work to see what the others have done. I think I may see some still lifes and many different artistic styles, but I’m hoping to see some really creative take on the mango. I’ll take some photos or do a video tour to show what the exhibit looks like. I may post them at a later date. Below is the cover of the prospectus.